As the 2019 Major League Soccer season got underway in March, another major soccer championship was decided in Boston. However, it was decided in the virtual realm. 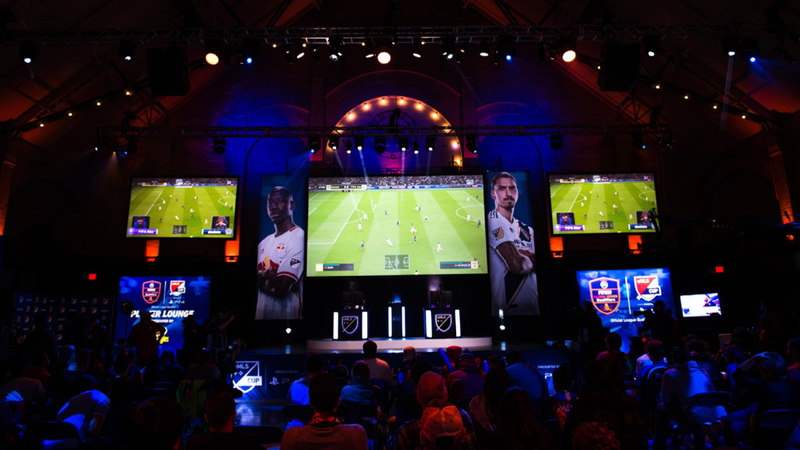 The eMLS is Major League Soccer’s EA Sports FIFA eSports competition, and the 2019 eMLS Cup took place at the PAX East gaming conference in Boston on March 30. Philadelphia Union’s representative "Doolsta" won the 2019 prize over LA Galaxy’s "GGGodfather." With Nashville Soccer Club moving up to MLS in 2020, and an audience of millions that tunes in to the competition each year on Twitch and Twitter, this is a chance to get to know the league’s eSports competition. Twenty-two of MLS’ 24 clubs sponsored an eMLS representative in 2019. Each of those 22 clubs selected one eSports athlete to build a roster and compete against the other eMLS players. Competitors build their rosters through the FIFA Ultimate Team (FUT) roster tool, meaning they have access to players from across the globe. However, each competitor must select three MLS players for his or her squad, and two of those players must be from the club he or she represents. So, hypothetically, a Nashville SC eMLS competitor could select players like Ronaldo or Lionel Messi to his or her roster, but also must include three MLS players, two of which play for Nashville SC. The roster-building process is not as easy as it sounds, as factors such as chemistry and formation come into play. Linking players that play in the same domestic league or are from the same country help add chemistry and make the team play smoother in eMLS competition. With rosters built, the 2019 competitors played in two different series of matches hosted by FC Dallas and LA Galaxy. These series help determined the seeding going into the eMLS Cup in Boston. Eventual champion "Doolsta" from the Union was the top seed in the Eastern Conference with a 15-1-6 record going into the main event. At the eMLS Cup event, there was a regular season phase similar to the two series events. Afterwards, the top five teams in the standings from each conference moved on to the knockout rounds. There was also a “Last Chance” qualifier in which the teams in the bottom half of the standings played a single elimination tournament to earn the sixth spot in the knockout rounds. This year, Philadelphia Union’s "Doolsta" needed penalty kicks to advance to the eMLS Cup Final over NYCFC’s "NYC_Chris." In the West, LA Galaxy’s "GGGodfather" advanced 1-0 over FC Dallas’ "AlanAvi." "Doolsta" took home the championship with a 2-1 victory in the final. In addition to the trophy, the champion took home a cash prize and a points bonus towards the EA Sports FIFA Global Series. Each eMLS player earns points towards the FIFA Global Series, which serves as the qualification process for the EA Sports FIFA eWorld Cup. The top 32 players in the world after the Global Series Playoffs qualify for the eWorld Cup, and they compete in the Grand Final that takes place at a single venue. The 2018 eWorld Cup Grand Final took place at O2 Arena in London, England. Last season, Sporting Kansas City’s competitor made it all the way to the FIFA eWorld Cup in London, and six eMLS players made it to the Playoff stage. 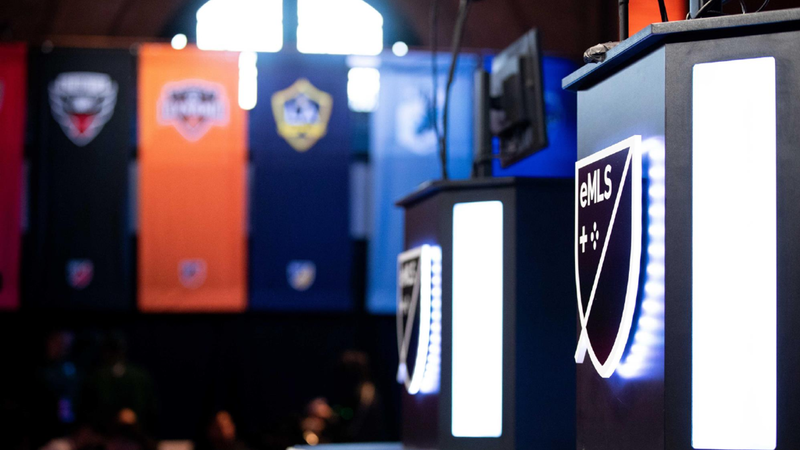 Be on the lookout for this year’s eMLS competitors trying to make a run at the 2019 eWorld Cup, and be on the lookout for more information regarding the 2020 eMLS competition. You might just be seeing a little more gold in next year’s contest.